The Wrong Century: Am I crazy? Cupcake Trials! Am I crazy? Cupcake Trials! There we go! That's the right age! ... 26. 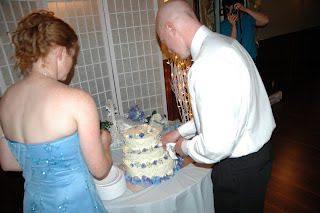 (oh to be young again...) I was a crazy girl who made my brother's wedding cake. Really. I did. 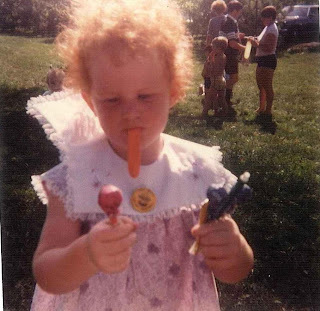 I told you I was crazy!! 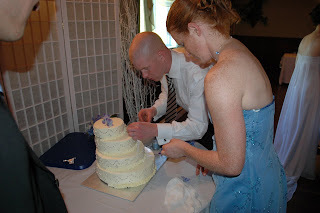 Who, without proper training makes a wedding cake??! Well, I'm here to tell you that three years later although I may be older, I am no wiser. Yup. I'm still crazy. And my craziness is what I'm here to report about today. See, one of my best friends is getting married in September. So what am I doing? 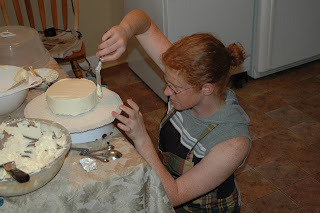 This time I am not only making the (fake) wedding cake (eek! details to follow in a month or so), I'm making (along with the bride and another friend) all of the cupcakes which will be served as dessert. Yup. You read right. ALL of them. But look at them all! Looklooklook! (Thanks Pops for the kitchenaid you got me for Christmas! I love it!!) Aren't you just dying for want of eating them!? Now before we go any further, do not worry. I did not eat all 150 cupcakes myself. I'm bringing them into work tomorrow so that my coworkers vote on their favourite(s). On the whole I'm happy with the way they turned out. I'll give you a run down on the flavours, and the winners, after all of the votes have been cast tomorrow! Give it a second chance why don't 'cha!